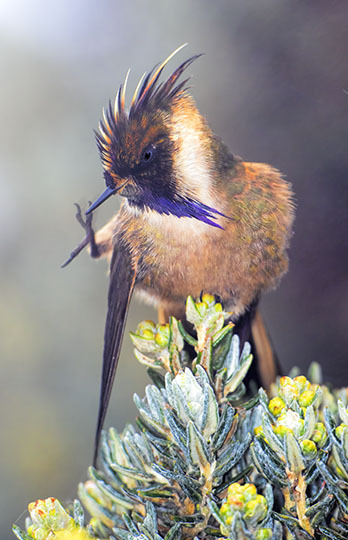 Helmetcrests are amazing hummingbirds from high-altitude paramo habitats. 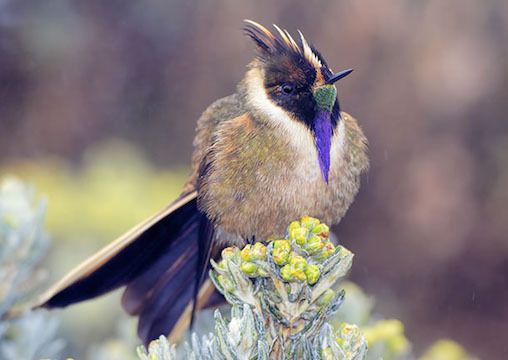 They used to be considered as one species but have been subdivided into 4, each restricted to a particular Andean cordillera. 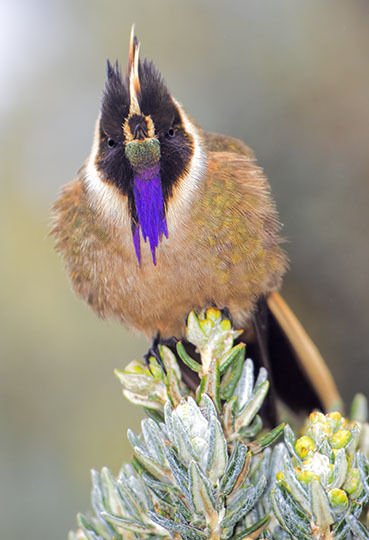 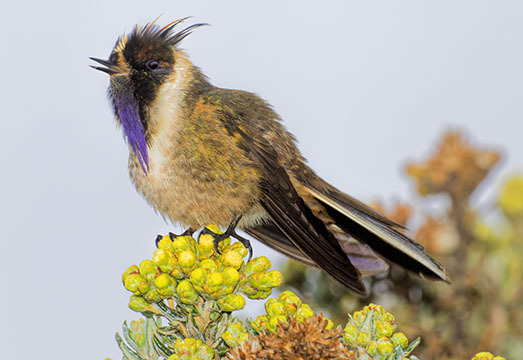 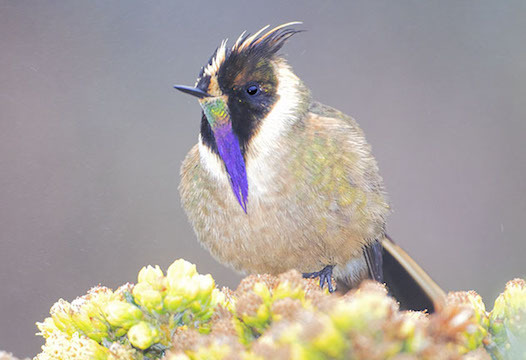 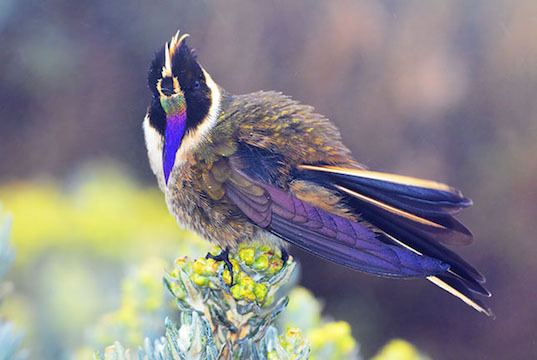 This the buffy helmetcrest from the Central Andes. 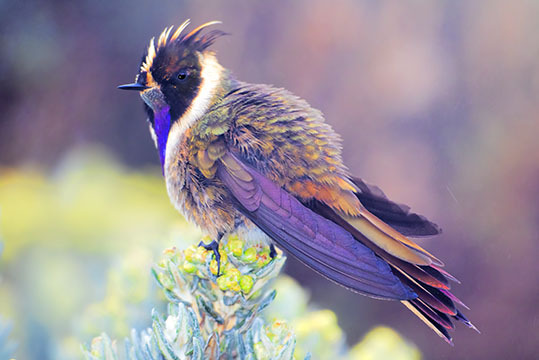 I photographed this bird in dense fog at about 4200 me in Los Nevados National Natural Park near Manizales, Colombia. 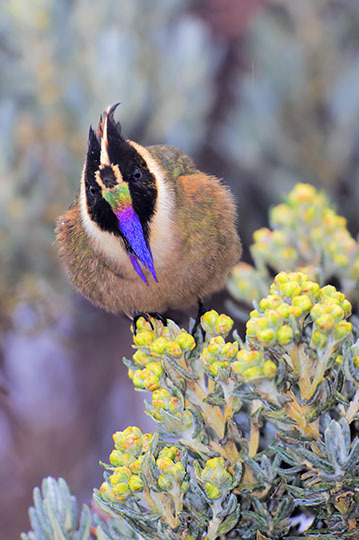 It was extremely tame and the main photographic problem was getting far enough away to get the bird in focus without having the fog totally obscure the image -- one of very few occasions in bird photography where a shorter lens would have helped.